Should Preppers Join the Bitcoin Bandwagon? Dan’s note: yes, I’m aware that an EMP would render crypto useless, but the article is about short-term thinking. Bitcon and other crypto aren’t necessarily long-term investments. 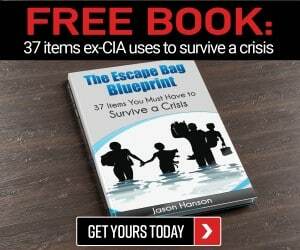 Picture this: You’ve been prepping for major disaster or economic collapse for years; you have survival kits full of everything you need to get by for weeks or even longer. You can hunker in place where you live, but if your property or other close locations aren’t sustainable, you’ve mapped routes, practiced them, and know where to go for safety and survival. You know how to hunt and you’ve been practicing survival drills this whole time. But what will you do for cash once your supplies run out or as unforeseen needs arise? Your gold is stockpiled but it’s heavy and there are looters, so taking it with you if you leave isn’t an option. You have cash but that’s dangerous too, and you don’t have access to your banking funds – there’s no electricity and banks are rumored to be collapsing. What do you do? How do you survive with limited funds? Monetary solutions have been the biggest complication of emergency preparation. Eventually we assume we’ll all arrive to a bartering system once the cash runs out, but how do you make sure you don’t run out sooner rather than later? If your cash fund is depleted quickly or cash loses its value very quickly, you might be out of luck. Is the disaster regional with intermittent internet access? Or are you more concerned with what you’ll have after the crisis is over – be it weeks or years – if the banking system has collapsed? The gold standard has always been the primary choice for monetary investment when preparing for disaster, but that’s changing fast after this year has shown that gold dropped in value for three quarters straight, and is at its lowest level in more than a decade. The dollar has fluctuated – mostly dropping – and other currencies have as well, but one has consistently risen, even skyrocketing. You’ve probably heard of Bitcoin, but depending on your comfort level with technology, it may be very familiar to you or something you’ve just heard of in passing in the last year or so. Bitcoin is a type of cryptocurrency – the original and by the far the strongest out of nearly 1,500 to date. It was established in 2009 and others didn’t follow it until 2011. In 2010, Bitcoin was a novelty that held literally no value – an auction for them couldn’t find a buyer. A few months later though, a Bitcoin was worth $0.08. From there it’s fluctuated, but in the beginning of 2017, one Bitcoin was valued at $800 and in November it had grown to $7,000. Think that’s a lot? As of this writing a month later, it’s value is at over $15,000. Okay, you say – but what is cryptocurrency? It’s a digital, intangible currency that isn’t monitored by any government and so cannot be confiscated, audited, taxed, or frozen in any way. If that sounds like a scam to you, you aren’t the only one skeptical – but it’s not a scam. Essentially cryptocurrency is banking outside the banking industry and outside of government reach. It was designed to be secure and stay outside of that long arm grab. You enter the market with cash, and you leave it with cash, but you can trade within it unmonitored and it’s untaxable, with value that rises and falls, so the money you put in today may have grown later. If you put in an investment of $15,000, when it rises you may have a value of $20,000 or more. 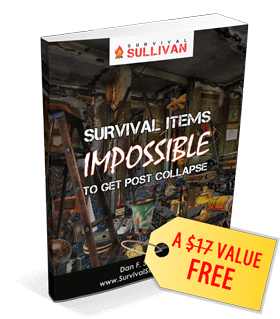 This is important especially for those of us preparing for emergency catastrophe scenarios, because the dollar and other currencies are showing themselves to be volatile and will only get more so in an apocalyptic event. The brilliance of investing in Bitcoin is that it doesn’t show itself to be affected by other economies or centralized authorities – the dollar may fall but Bitcoin will rise. What that means is that – for example – if the US dollar is worth .85 Euros and 0.000067 Bitcoins (which assumes 1 Bitcoin is worth $15,000) today, but later the US dollar is worth .5 Euros, it’s unrelated to the Bitcoin, which might be worth $20,000 by then. Other banking based national currencies are highly volatile based on other currencies and global current events, so if the dollar falls in one, it will likely fall in the rest – with the exception of countries doing more poorly than the US. But Bitcoin isn’t a global currency, so it’s unrelated. If you invest $15,000 in 1 Bitcoin today, the Bitcoin value may rise while the dollar’s value against other currencies goes down. One – if the global economy crashes, we’ll all be turning to Bitcoin, and you’ll have a stockpile ready to go. Two – if the dollar (or whatever currency you use) crashes, you’ll have Bitcoin unaffected by that and can conduct transactions online without worry. You can also trade it out when and if ever needed by trading into a more stable currency. Take some current examples into account – this summer, the United States and North Korea were threatening one another and almost across the board, global economies fell by 1%. Bitcoin rose. So did most cryptocurrencies, but none nearly as dramatically as Bitcoin. Zimbabwe and Venezuela both now have worthless currencies after long-term political crises in their respective countries that came to a head this year, and in both countries, Bitcoin use has surged. What makes Bitcoin such a commodity for preppers? People don’t necessarily invest in gold to make money on investments – surely we’d all rather the value of gold to rise if we’re sitting on a pile of it, but mostly, we anticipate that gold won’t completely lose value, while the dollar can and probably will. So if I purchased gold for $50 per gram, surely I’d prefer it was $80 per gram now, but as long as it doesn’t flatline with the dollar, it’s not highly stressful if it’s only at $40 today. Of course profit is preferable – if I had invested $10 in Bitcoin in 2010, I’d have almost $9,000,000 today. That $9,000,000 will sure go a lot further than $10 and could be pretty handy in preparing against and surviving natural disaster, nuclear war, or pandemic. Bitcoin and the other cryptocurrencies are theft-proof because of the blockchain technology used for them. There is little need to worry about fraud, identity theft, or where you might have left your Bitcoin ATM card (there is not a Bitcoin ATM card, by the way). That is because the chain of data left is so well traced that no one can hack into it. Again, almost. We don’t want to mislead you that theft has never occurred. It has, and unlike banks, there are no guarantees in cryptocurrency. But theft is extremely rare and it’s traceable in most cases. You’re much less likely to lose everything with Bitcoin than you are via identity theft or bank card loss. If you are on the move, you don’t have to lug around heavy gold or worry about the wad of cash hidden in a fanny pack or under your car seat. Your bitcoin is electronic, much like your electronic bank account. You can access it anywhere there is internet access. This has been mentioned but it can’t be stressed enough – in the event of a catastrophic event, your dollar will lose value. That is unavoidable. While we watch it drop in light of comparatively not catastrophic events, when something terrible actually does occur, it will bottom out rapidly. You won’t have time and likely no warning to move accounts or transfer into another currency or whatever else may be your plan. It can be at any time but once it occurs, you’ll be a little too busy to check your bank balance. Cryptocurrency is not based in your country, it’s based in the internet, so it’s unaffected. In fact, its value may surge as others respond to the events. Your Bitcoin is not one more thing you have to grab as you run for your life. You don’t have to worry about it being damaged or lost or stolen. All you need is your account info – hopefully committed to memory – and internet access. New to the Bitcoin markets, futures are being traded – this means that buyers and sellers obligate themselves to move Bitcoin once it reaches a certain level. Futures options indicate a few things – first, it means traders anticipate sales will slow, which mean value will drop. But it also means that of the 21 million Bitcoin available, traders see the stock being bought up in a relatively short time. If buyers and sellers are obligated to sell at a certain time, people still have the chance to enter and exit the market, which means there is still opportunity for the value to rise and fall. But how will Bitcoin work in a post-disaster setting? There is a lot of skepticism in the prepper community, and there’s a lot of skepticism outside of it, too – if the grid gets taken out, the electricity nor the internet will function to access Bitcoins. First, during all but the most catastrophic of collapse scenarios, the infrastructure for the internet may be harder to access but it will still be available. In a scenario where your survivability is possible, you would have time to get to the money – and perhaps even better, the money will be protected while you are forced to wait it out. Parts of the internet were designed to survive catastrophe by being decentralized, and the function of the internet may depend on the grid but Bitcoin won’t – which means when it’s up and running again, your Bitcoin is still there and still protected. That’s actually much more the intention than immediate access during the crisis. Keep cash on hand, perhaps gold as well, but leave the Bitcoin for your survival once you’re in recovery from the event. Unless the disaster is global, Bitcoin value will still be soaring while your local currency drops. The amount you have stored away will not disappear, but it could in a nationwide or otherwise large-scale disaster. Internet restoration would also be given top priority in re-establishment, as it’s essential to societal function But the Bitcoin itself keeps going – it’s not dependent on what’s happening around you like your official currency is. The end of the world as we know it: Well, we’re preparing for this too, but let’s be honest, if a global event hits, an asteroid collides with Earth or a gamma ray bursts, we’re probably not going to make it either. In this case, don’t worry about your Bitcoin if you’re still around. You never know, there might be pockets of the world that survive and they might just happen to be tech centers and Bitcoin keeps going – if so, you’ll eventually get access. But probably not! The end of the world as we know it is not the event we’re prepping for with Bitcoin. Bug-in/Regional catastrophe: If you’re prepping to hunker in place through a regional catastrophe like a large earthquake or political uprising event, Bitcoin won’t help much in the short-term. Why? It would be used in this situation to order items most likely, and UPS is probably going to have difficulty getting to you – not to mention the problems you’ll have getting online. In this situation, you have cryptocurrency saved so that you have resources when things start to get back up and running. Bug-out/Regional catastrophe: If you’re leaving after a catastrophe, your Bitcoin will be invaluable. Banking systems may be down but you’ll potentially have savings to get out, and even if you have to use back-up cash to get out, when you get to the new destination, you’ll have resources you can access. If Bitcoin is so pricey now that there’s just no way you can invest, you can look into other cryptocurrencies as well. There are almost 1,500 out there and most of them are rising. Some are worth more than a $1,000 and some are worth $5 – but they’re rising. Study them and pick the right one for you. Invest in that. If you find it begins to drop, you can move into another, before the one you own drops below what you paid, and preferably while it’s still well over. If we’re viewing Bitcoin as an investment, you want to watch its value daily and maximize it. There are legitimate concerns about Bitcoin and other cryptocurrencies. In a global crisis when every currency loses value, so will Bitcoin. It is, in fact, measured against other currencies. If all fall, there isn’t one to compare it to. The strongest economies in the world also need to stay stable for the other currencies to – if the US economy drops, it will affect others. Also, of course prices will soar as the Bitcoin value soars, especially if it is the strongest currency available. None of this means you shouldn’t be paying attention to and considering Bitcoin and other cryptocurrency options. All of them are soaring right now – if your concern is to have maximum savings when an event occurs, consider two options. If Bitcoin’s current soar is in fact a bubble, it will drop and then you can invest when it begins to rise and fall normally. Bubbles happen – but they usually happen with products that in the long run will stay successful. It’s the product that gains attention and people have faith in. then invest. Your investment will gain and you can move between other cryptocurrencies and trade as you wish to grow the investment. Keep an eye on world events and if you feel the disaster scenario is approaching, cash out with your maximized investment. Invest in lower valued cryptocurrencies. As Bitcoin gets higher and higher and people are priced out of it, they’ll look at others. Bitcoin is the brand people know, but it’s the concept of cryptocurrency that they’re fascinated with. The others are growing and as Bitcoin gets higher, they’ll grow faster. have more hidden away for a major event in either scenario. Of course there’s always a catch! Bitcoin has a market cap of $280 billion and a total number of 21 million – so each Bitcoin once all are sold can only have a maximum value of $13,333.33. What does this mean? Nothing, maybe. It means nothing if you don’t mind a little bit of loss and are just interested in tucking away your money so you don’t lose it all. It means nothing if you purchase when it’s under $13,333.33. But if you’re like most of us and either want to gain or at least not lose, if you purchase when it’s over $13,333.33, you should watch the market closely when it starts approaching 21 million sold. You’ll want to sell as soon as the value starts dropping close to what you purchased for. Once 21 million are sold, anything purchased for more then $13,333.33 should have been traded out or you take a loss. But the bubble! I tell people all the time they should invest in the stock market. This may seem a little contrary to our prepper ideals, but hear me out here. Most of us are pretty anti-capitalism, and the stock market is all about capitalism. Even those of us who are very capitalist – and they exist in large numbers – know or are learning how to operate outside the monetary system. But if we have a little cash stockpiled like we do everything else, invest it and make it grow – you might need it when SHTF! And there is no one out there who can study the economy and find the patterns, know when to hold, trade, and buy, than a prepper. We have learned all the signs of crisis and often feel them instinctually. So is Bitcoin in a bubble? Honestly – yes! We’ve established it caps at $280 billion and the current value is less than what it can be once every share is purchased. But that doesn’t mean the bubble is even close to bursting – it’s still bursting. There are experts who say the value will get to $1,000,000 each. There are experts who say we’re in a bubble. I think $1,000,000 is a stretch with the current market cap, but it still has plenty of meteoric rise left and plenty of way to go to watch it come back down. Don’t fear the bubble if you’re watching the patterns. Bitcoin and other cryptocurrencies are a vital asset to preppers because they’re held in an independent storage facility that won’t be affected by anything but the worst of major disasters. In addition, their value is still rising so the dollar can be stretched further, even as the dollar ceases to matter or exist. It’s hard to track and untaxable, so once you’ve entered the market you can make sales with profits that won’t be reduced. Just watch the value – it’s ever-changing and your goal is to make it work for you so that you’ve got at least the majority of what you reserve and hopefully much more when it’s time to access it! This advice is terrible. In a real crisis, there will be no electricity or internet, bitcoin and your investment will vanish. Can you tell me the percentage of recent crisis and disasters where people didn’t have Internet vs. the ones that did? I wonder whether there’s a more ignorant thing that the common myth in the prepping community that an SHTF always means no Internet. Venezuela and Syria both have Internet – use your brain. Or you’ll end up not taking advantage of opportunities to survive and thrive simply because you’ve gotten used to thinking in terms of worst-case scenarios. Yep,I totally agree with you. When the time comes and life as we know it changes -there won’t be any Internet and we will all have much more important things to think about – like real survival in a world we’re not used to. Why is everyone so obsessed with technology. Get real folks, technology is a very recent addition to our lives and we really don’t need it that much. Humanity got along just fine and with a lot less stress for thousands of years and we will again. Bring it on! This article is SO ignorant, it,s incredible! It’s clearly something you know nothing about a d to suggest it as a viable trading currency during a time when it’s not widely accepted,or accessible without the internet is just moronic. The only thing moronic is your suggestion that there won’t be any internet. Take advice,or leave it. There is no reason to insult anyone. Be better than the horde. Tulip Bulbs vs Bitcoin…. No difference. 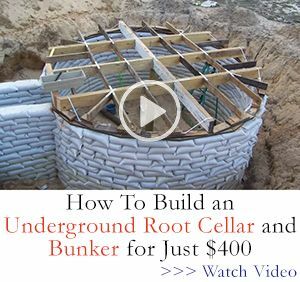 This solution is perfect for a U.S. economic collapse. You still have money that is good throughout the world even though the U.S. dollar will be a turd. Open your eyes people. #1 – It’s not impossible to steal – There are already recorded instances of cyrpto’s “disappearing”. Go do the research. #1 – It doesn’t travel easily unless you have a connected device and an internet connection. Assuming you’ll have those isn’t a good idea and as a prepper, why the heck do you want to carry a device that allows you to be tracked? #3 – It holds value? Technically, it doesn’t even exist. It exists less than fiat paper currency. Rule 1, if you can’t hold an asset in your hands it’s not an asset. It’s an idea or a dream. #5 – Futures – It’s all just pure speculation, just like current markets, and a very untenable situation unless you have money to lose and burn. Look, you sound like you love cryptos. More power to you. Just don’t denigrate other people because they have well thought out reasons to not use them. Politely agree to disagree and move on. #1: Yes crypto’s can be stolen if left in an exchange. They can be lost if you don’t keep your private and public keys. In this sense, crypto’s are like cash. If someone steals a dollar from you it is gone unless you can track down the thief and retrieve it. #2: There are ways to keep from being tracked. #3: Yep, it is fiat. I still like it in that it is not controlled by any government. #4: No physical presence is a plus (in my opinion vs. your opinion). #5: Sure it is speculation. Paraphrasing one author – sure the game is rigged, but you can’t win if you don’t play. I can’t name the source of the quote but; ” The Market takes the stairs on the way up, but takes the elevator down”. There is far to much risk vs reward for most people to invest in Bitcoin. One question. How do you take it to the store to buy things you will need? Very good question. I suppose exchanging it for dollars in a paypal (or similar) account, and then spending that money fast (I’m assuming high inflation). Ha ! Exactly, at least someone else here is switched on enough to see reality. Well said Joyce R.
When all is said and done, I see cryptos as a speculation. If you want to dabble in it, only put in what you can afford to lose. Agreed. Since people are hardly using them to pay for goods and services, they’re pure speculation.